The Nigeria Police Force (NPF), Sunday, recanted the statement made by the Inspector General of Police, Ibrahim Idris, that the last Dapchi schoolgirl, Leah Sharibu, was on her way back, reports ITRealms. The Inspector General of Police Idris Ibrahim had earlier on Saturday hinted that the remaining Dapchi student, Leah Sharibu, who was not released along with her schoolmates last Wednesday, was on her way back home. In an interview with journalists at the Military Command and Control Center in Maiduguri, Saturday, where he visited the Theatre Commander Operation Lafiya Dole, IGP Idris was quoted as saying that he had been scheduled to travel to Dapchi but shelved the trip so as avoid jeopardizing her release. “I am supposed to go to Dapchi today, let me be sincere with you but because of the girl (Leah Sharibu) that I learnt here will be released today,” he said. Leah was reportedly held back for refusing to denounce her Christian faith while in captivity but the government promised to do everything possible to secure her release just like the rest. 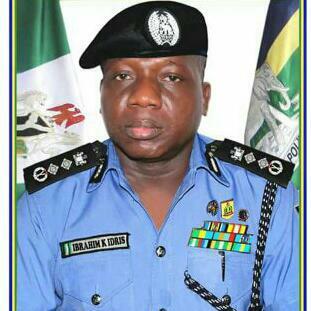 But on Sunday, the Police recanted IGP Idris, saying he was misquoted or misunderstood, according to the Force Public Relations Officer, Assistant Commissioner of Police (ACP) Jimoh Moshood.